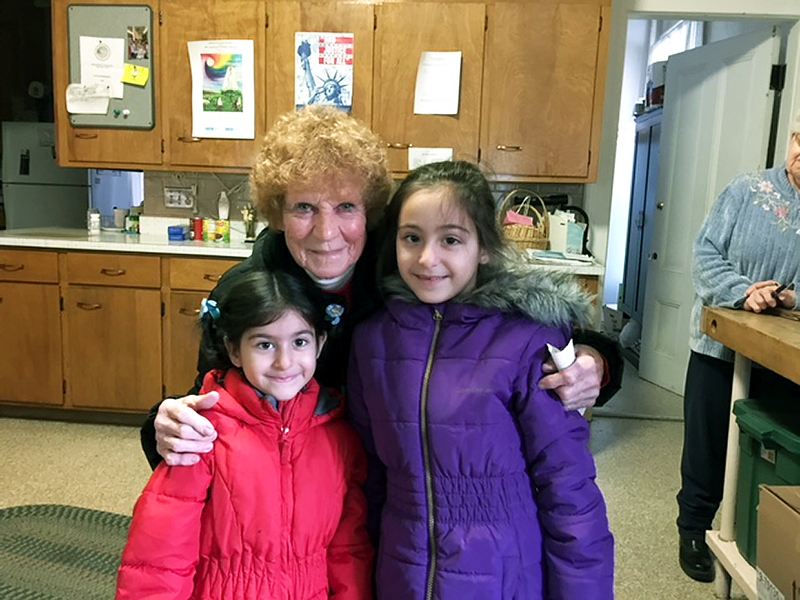 Pat Reardon poses with Eilen, 5, and Elana, 7. 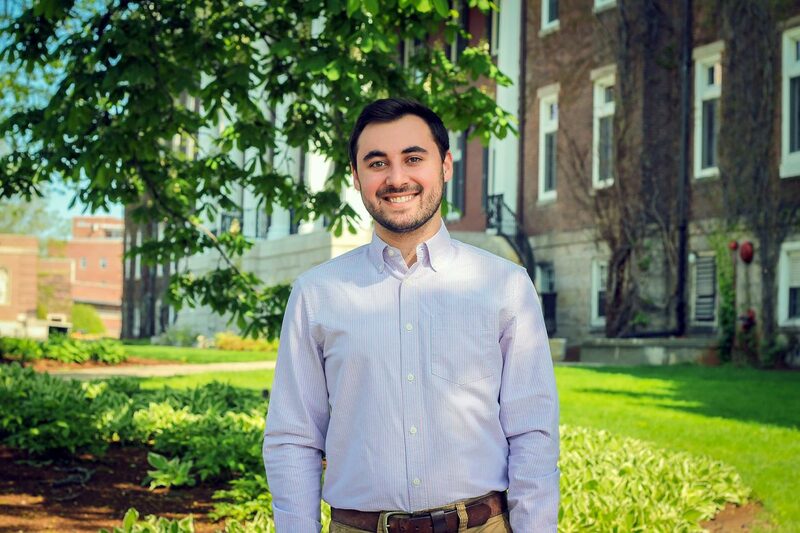 Anthony Salterelli developed the app Stand Up for Change after seeing the disillusionment of students following the 2016 presidential election. Cracking the code on political change | Anthony Saltarelli, then a junior Computer Science major at the College of the Holy Cross, was one of many Americans who found themselves in a state of shock in the immediate aftermath of the 2016 election. Unlike a lot of them, however, Saltarelli found a way to not only take action, but to empower others to do the same. 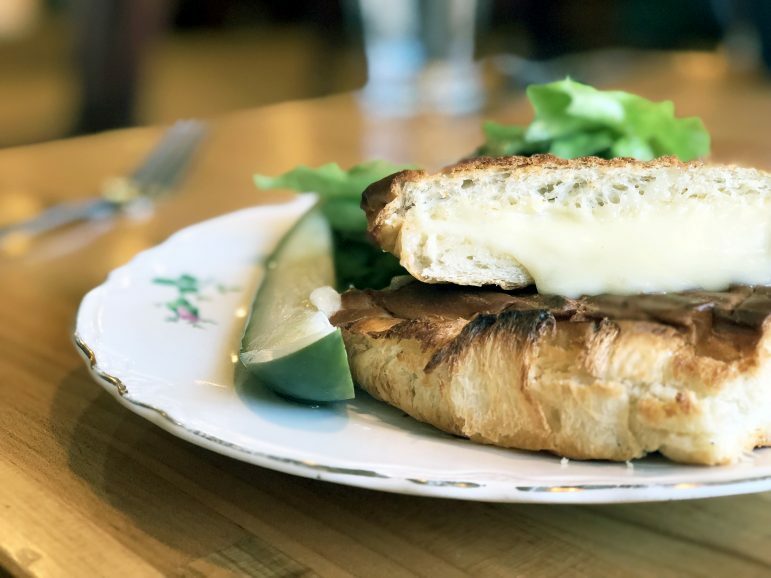 With a blend of cheeses, and especially freshly made bread from BirchTree Bread Co., Kummerspeck’s take on grilled cheese is not to be missed. Creating and destroying | Economies will often deconstruct old markets in order to free up resources in a process called “creative destruction.” It helps markets grow and evolve to meet the demands of a modern economy, but the process is difficult for many. Love for Jesus can bring Christians, Muslims together | It is well known, particularly in this holiday season, that Christians follow the teachings of Jesus. What is less well understood is that Muslims also love and revere Jesus as one of God’s greatest messengers to mankind. Editorial: Connor’s conversation | In penning the poignant obituary of their 15-year-old son, Jason and Teresa Tronerud dispensed with the usual “passed unexpectedly” or “died after a short illness” qualifiers. Instead, they offered us the necessary gifts of courage, candor and a call to action. Sun Spots with Hitch [Vol. 226]: Songs in the key of Trump, with Jim McGovern | Newsflash: U.S. Rep. Jim McGovern and President Trump don’t see eye-to-eye on much, not even death and taxes. 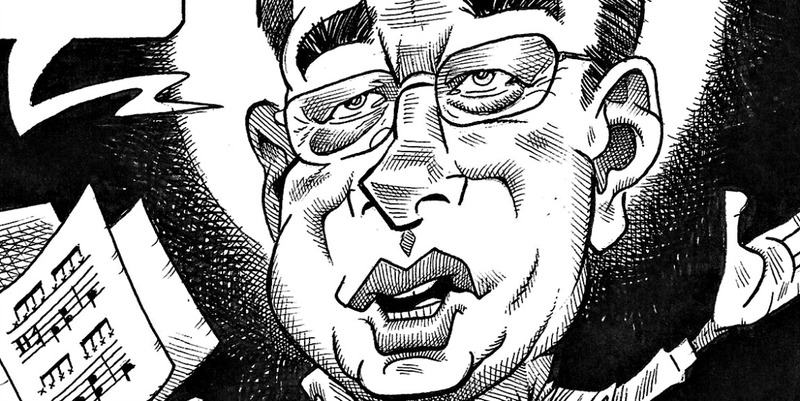 Indeed, Worcester’s esteemed representative in Congress has spent much of the past year lamenting practically every Trumpian decision to ooze out from under the Oval Office doors. Hitch, for one, wouldn’t mind tuning it all out. Sina-cism: Lessons from a modern witch hunt | Today, Americans are in the grip of another kind of witch hunt, as one powerful public figure after another loses their job, reputation and influence in the face of withering accusations of sexual impropriety. This time around, the demons are real. 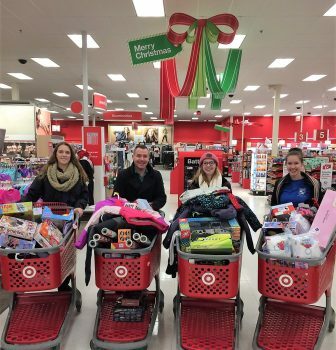 Becker College employees shop to help fulfill the holiday wish lists of children at Worcester’s Chandler Elementary School. The Quad [Dec. 23-30]: Four things to know from UMass Medical School, QCC and Becker | Have campus news you or your college or university organization would like to share? Let us know by emailing it to info@worcester.ma. Be sure to send a link to the full release on your site or Facebook page so we can include it and point Sun members your way. 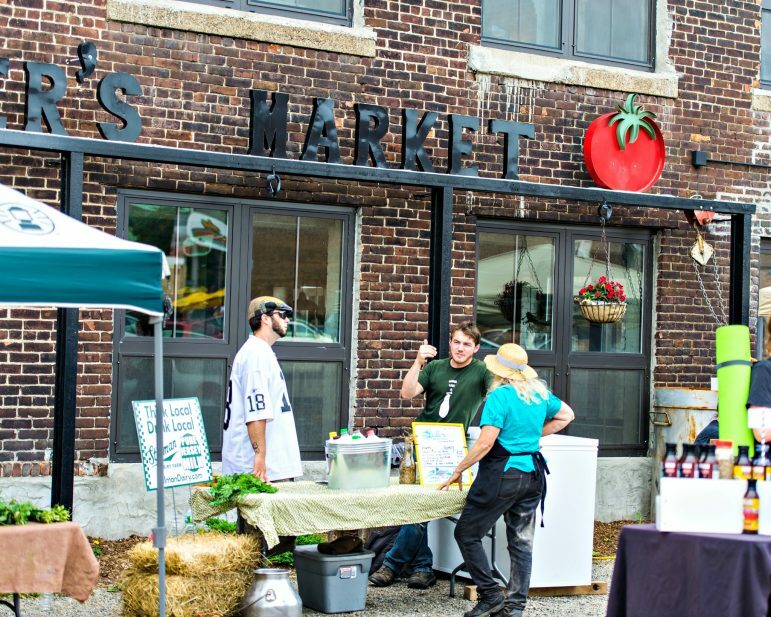 Crompton Collective is a prime example of the Jane Jacobs ethos. Worcester Weekly: Landscape painting, ‘Polar Express,’ New Year’s masquerade ball + more, Dec. 24-30 | The most fun you’ll have with a calendar of events all week. And you just might learn something, too. Here are some of the best things to do, places to go — and reasons why — over the next few days. The Balancing Act: The right partnerships can get you ahead | “Although, I haven’t experienced a partnership like Warren Buffett and Charlie Munger, I have had some greats, and some epicly awful experiences, too, but through it all, I’ve learned there are three main traits needed to make the adage that two heads are better than one, accurate.” Giselle Rivera-Flores continues her biweekly serial (formerly known as A Mother’s Journey) sharing perspective from the life of a mom with several irons in the entrepreneurial fire. 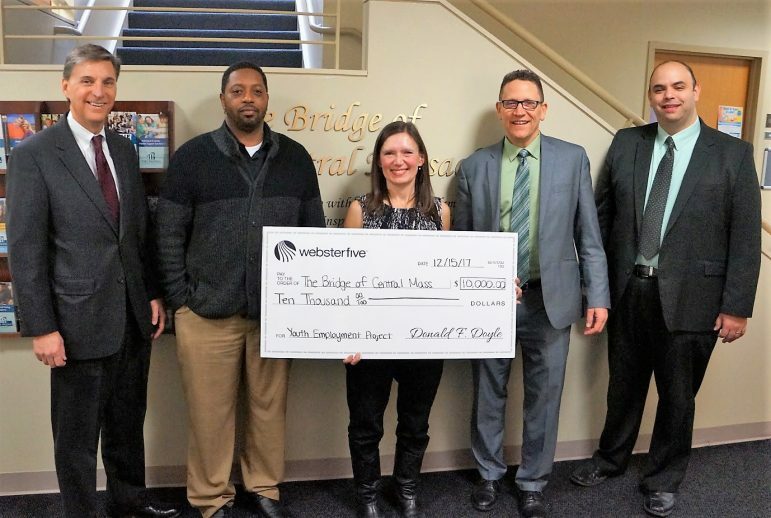 From left, Don Doyle, President/CEO, Webster Five; Sean Harris, Supported Employment & Education Specialist, The Bridge of Central Mass; Amelia Dillon, Supported Employment & Education Director, The Bridge of Central Mass. ; Ken Bates, Executive Director, The Bridge of Central Mass. 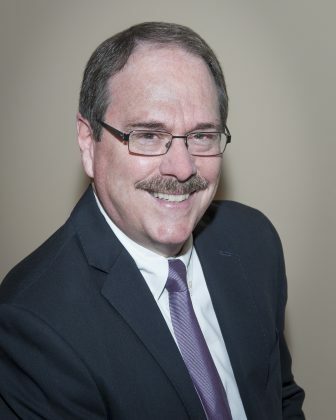 ; and Sam Bitar, Executive Director of the Webster Five Foundation/VP Business Systems Manager, Webster Five. Inbox [Dec. 23-30]: News and notes from city of Worcester, Webster Five, Fidelity Bank and You Inc. | Have news you or your group would like to share? Let us know by emailing it to info@worcester.ma. Be sure to include a link to the full release on your site or Facebook page so we can include it and send Sun members your way.